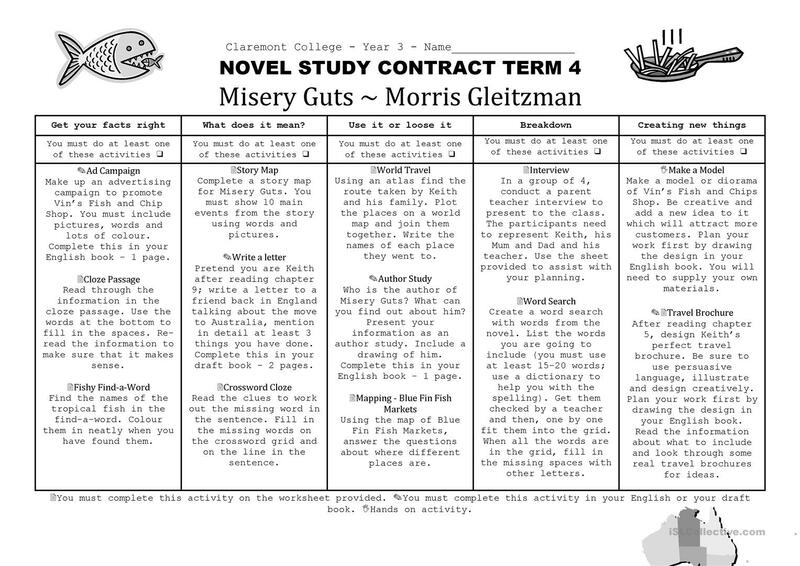 A work contract for students to complete in their own time working on the novel "Misery Guts"
The above printable, downloadable handout is meant for elementary school students at Elementary (A1) level. It was designed for developing your groups' Writing skills. 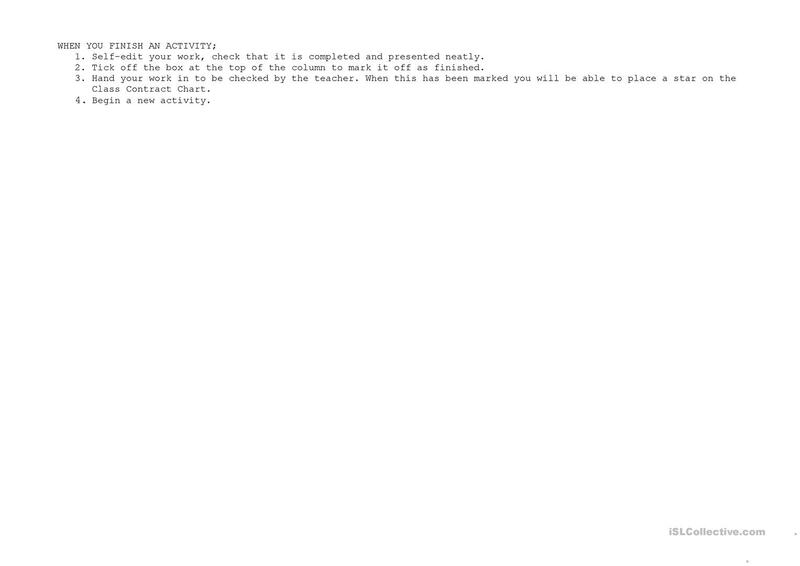 learnthrill is from/lives in Australia and has been a member of iSLCollective since 2013-03-02 08:01:32. learnthrill last logged in on 2013-03-02 08:01:33, and has shared 1 resources on iSLCollective so far.